Do your best until you can do better. 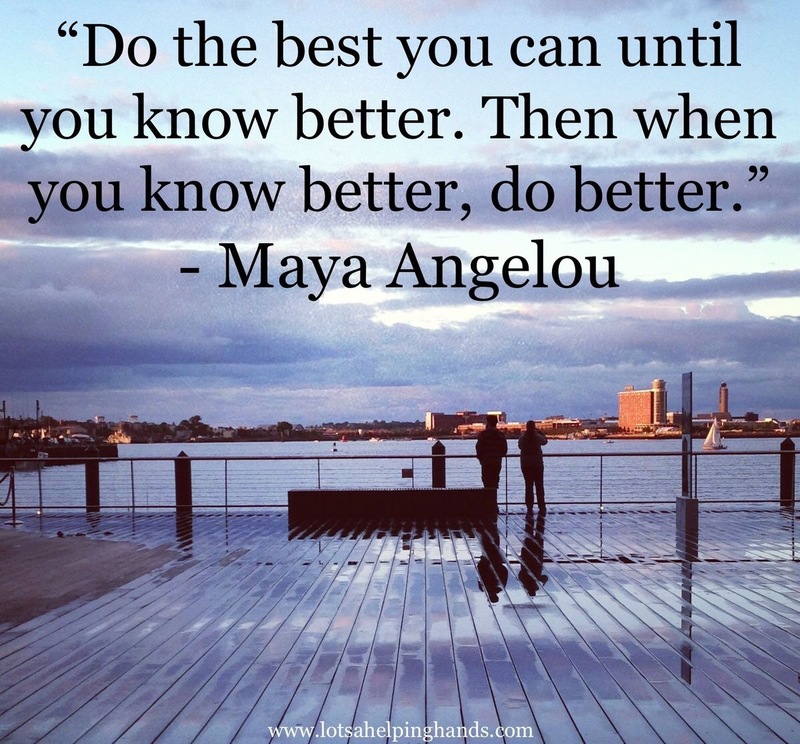 Sometime we are hard on ourselves because we feel deep within that we know how to do better. It takes time to mature and grow to knowing right from wrong. As you grow and learn from your actions and mistakes you do better. The awesome by the late Dr. Maya Angelou says it perfectly. Don’t beat yourself up about your current situation or your position. Do your best until you can do better. When you grow it shows in your maturity, the decisions you make, the actions that you put into place, and how you move forward. That’s growth in a while another level. Motivational Saturday with Sistah’s Pearls of Wisdom. Follow us as we motivate, inspire, encourage, and empower women and men. A ministry to uplift and spread love.